A patent is a form of intellectual property whereby the government grants exclusive rights to an inventor or applicant for a limited period of time. Patents allow individuals and businesses to protect against competitors capitalizing off their inventions by prohibiting other parties from using, selling or distributing a patented subject without permission. The US Patent and Trademark Office issues hundreds of thousands of patents every year, and our Los Angeles patent lawyers can help you protect your patented innovation. 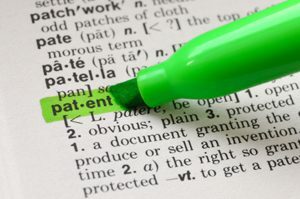 Direct Patent Infringement — This form of infringement involves using, making, selling or importing a patented product without the permission of the patent holder. In these cases, a company or individual essentially uses the exact patented item or invention for the same function. Indirect Patent Infringement — This form of infringement can fall into two categories: contributory patent infringement or induced patent infringement. Contributory infringement involves the sale of parts used in a patented invention. Induced infringement involves providing information that leads to direct infringement. Making or selling a component of a patented item is contributory patent infringement, but actively aiding and abetting infringing activities without actually manufacturing or selling anything can be considered induced infringement. Lost Sales — Awards for sales the infringer made or the patent holder would have made if not for the infringement. Price Erosion — Applies if the patent owner had to lower prices to compete with infringer. Unpatented Items — If a patented item is sold as part of a product that also includes unpatented components, the Entire Market Value Rule may allow the patent holder to collect on lost profits for the unpatented items, as well. Future Lost Profits — These are projected losses based on the price erosion as a result of the infringement. Damage to Reputation and Goodwill — If the infringing item was of inferior quality, it could also affect the future sales for a patent owner. Prejudgment and Post-Judgment Interest — This is calculated from the date of the infringement to the date of the judgment. Reasonable Royalty — These are damages awarded when a patent holder is unable to prove actual lost profits. Costs and Attorney Fees — You may be entitled to reimbursement for costs and fees accumulated in filing a lawsuit. Business Losses — There may be several associated losses that a patent owner incurred as a result of infringement, such as a reduction in a company’s stock price or additional taxes. Robert G. Klein has been representing companies and individuals in complex business disputes for more than a quarter-century. The Los Angeles patent lawyers at KLEIN work closely with clients, and we have secured many successful verdicts and settlements. If you need legal assistance in a patent infringement case or if you need help filing a patent, contact our law firm today to discuss your rights and understand all of your options.